Some will say that luck is when preparation meets opportunity. 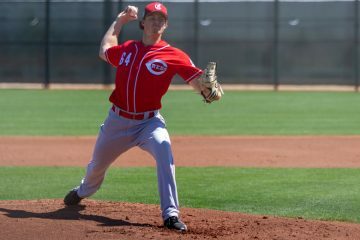 In the summer of 2016 that played out well for the Cincinnati Reds when TJ Friedl was, surprisingly to some teams, draft eligible but they didn’t figure it out until the draft was over. Friedl had hit over .400 at Nevada that season and joined Team USA for the summer. With Team USA teams began to realize that not only was he now available to sign as a free agent, but that he had taken steps forward on the field too. 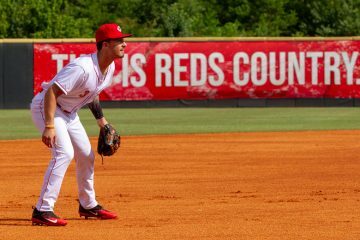 With the second largest draft budget available, the Reds overage amount they could spend with a penalty wound up being the most remaining in baseball and they took that opportunity to pick out the outfielder for the largest domestic undrafted free agent signing bonus ever. After finishing the second half of 2017 with Daytona, TJ Friedl returned to roam the outfield for the Tortugas in 2018. The first week of April saw him go off, sort of. He only hit .250, going 4-16. But he had three extra-base hits and walked five times, while being hit by three more pitches, giving him an OPS of 1.125 after week one. Things slowed down the next as he went 3-20, but again had as many walks as strikeouts. It was the final 11 games of April where the hits started falling in for Friedl. He went 17-47 (.362) with three more extra-base hits and as many walks as strikeouts. For the month he hit .289/.412/.446 with 15 walks and 15 strikeouts in 102 plate appearances. He also stole three bases. The hot run that ended April carried over into May for TJ Friedl. He would hit .333 in the first week of the month and walk more times than he struck out. The next week was another one where he walked as often as he struck out, and he went 5-20 on the week. Like April, it was the second half of the month where everything started to click. In the final 13 games of May he hit .340 with six extra-base hits. He would post a .319/.410/.429 line with 13 walks and 19 strikeouts in 105 plate appearances. He added another five stolen bases, giving him eight for the year. June began well enough for TJ Friedl, going 6-18 in the first five games of the month. He would go into a bit of a slump over the next five games, going 0-15 in that stretch. The outfielder would heat up over the next seven games, going 8-21 with more walks than strikeouts. 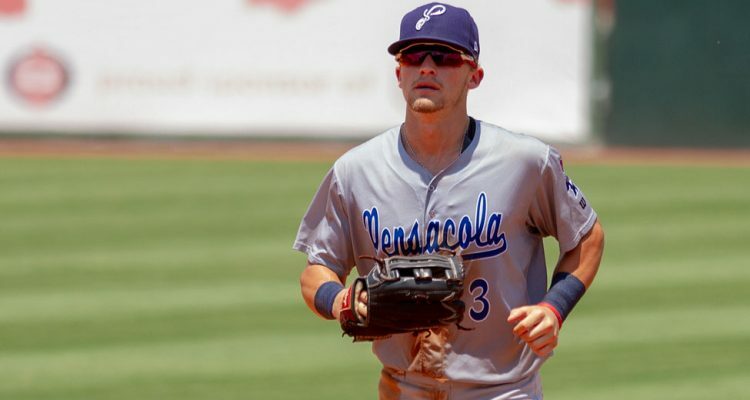 On June 20th he was promoted to Double-A Pensacola. He would make his debut by playing a double header on the 22nd. He went 0-2 with a walk in the first game. Over the next eight games to wrap up the month he’d rack up a hit, ending the month on an 8-game hitting streak. In his 109 plate appearances during the month he would hit .278/.394/.356 with 15 walks and 18 strikeouts. He also added eight stolen bases – doubling his season total. The hit streak came to an end in the first game of July for TJ Friedl. But in game two of the double header on the same day he racked up three hits and kept on hitting from there. Overall in the first 14 games of the month he went 13-49 (.265) with four extra-base hits and nine walks – posting a .390 on-base percentage. The final two weeks of the month were a bit different, but still productive. His average jumped up to .322 as he went 19-59, but his on-base percentage dropped to .355 as he managed just three walks in 14 games. Overall he didn’t skip a beat in the jump to Double-A, hitting .296/.372/.389 in 121 plate appearances during July for the Blue Wahoos. With another four steals on his resume he finished the month with 20 on the season. August got out to a tough start for TJ Friedl, who went 5-23 (.217) without an extra-base hit in six games. He didn’t stay down long, picking things up in the second week of the month – posting an .888 OPS that included a home run and three doubles. Things slowed back down the rest of the way, though. The 23-year-old hit .243 over the final 18 games of the year. 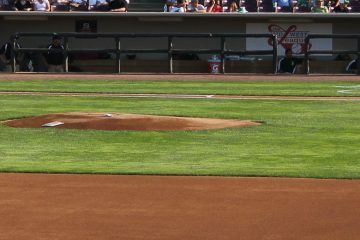 The final month saw TJ Friedl hit .248/.333/.325 with 11 walks and 25 strikeouts. It was the only month of the year in which he struggled. He did, however, go 10-for-11 in stolen base attempts, giving him an even 30 steals on the year. Hitting | TJ Friedl is a bit of a pull hitter – he doesn’t go the other way much at all. That said, he’s an excellent bunter and he’s got the speed to beat out non-bunts to infielders, too. Overall he’s got an average hit-tool because of that. Power | There’s not much power in his game. He’s got some bat speed, but he’s projected for below-average power. 10-12 homers isn’t out of the question down the line. Speed | He’s an above-average runner, perhaps a fringe-plus speed guy. Defense | He’s fully capable of playing center field and left field. Arm | He’s got a fringe-average arm that will play in either left or center. There are some varied opinions on what TJ Friedl projects as in the long run. More scouts will put out that he’s a 4th outfielder, but this past season I spoke with some who believed he had a chance to be a starter. He took strides forward in several areas during 2018. His walk rate went up while maintaining a solid strikeout rate. Perhaps more importantly he found success against left handed pitching for the first time as a professional. After having an OPS under .670 against lefties in his first two years he hit .280/.404/.336 with 21 walks and 27 strikeouts against them in 2018. TJ Friedl split his time in left and center field last year (and he had 3 starts in right field, too). That was more due to the fact that he was sharing time with other guys who can also play center field than anything to do with his ability to play center every day. He projects to be able to handle center field. If he’s going to be a starter over the long haul in the future it’s going to be in center field where his bat plays. As a left fielder the bat just doesn’t profile as an every day player. If the role for TJ Friedl winds up being that of a bench player, he’s got a chance to be quite valuable. He could cover you in the outfield on defense. And he could provide plenty of value as a pinch runner. As a pinch hitter he could come in as a lefty option, but also as a guy who you would have 100% faith in to get a bunt down late in a close game. The ceiling isn’t incredibly high, but the floor is pretty high with a ceiling that could be a starter. And there’s good value with that profile. 415 Feet on May 18th. Since he was signed he’s bunted the ball 75 times and gotten a hit on them 44 times. was he ever really drafted Doug!? Also, with such a low ceiling, would it hurt anything to put this guy in CF to begin the 2019 season. It sounds like, at worst, he’ll be a billy hamilton clone on offense……but one who can actually bunt. I think there’s a chance he could outhit Hamilton, immediately. But he’s certainly not going to be on the same level as Hamilton in the field or on the bases. Even with just 34 steals this past season, Billy Hamilton still finished 3rd in the most value added on the bases according to Fangraphs this past season (because that value extends beyond just stolen bases). With that said, I wouldn’t be completely shocked if he were at least being considered an option right now. 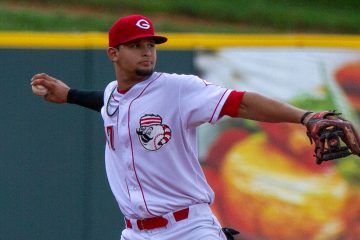 I’m sure the Reds are considering bringing in someone from outside the organization right now to compete or even take over the spot in center for 2019. But thinking internally, Friedl, Siri and Senzel have to be the guys from the minors that are being considered. Underrated in my opinion. As baseball turns into hit only dingers or take only walks it will be players like Friedl that bring home championships. High OBP with a solid contact rate. He clearly has a good eye for the strike zone. Add into the mix that he is at least average in left and center. He will be a starter for somebody. Agreed. His minor league numbers are pretty close to Brett Gardner’s, although Gardner had much better SB numbers. Why is he ranked so low? He seemed to have a really good season; you are saying nice things, system seems a tick down from last year- why is he dropping in rankings ? How much higher would you have him Wes? I like Friedl worse case scenario 4th outfielder, best case average center fielder? I think it’s weighing the upside vs floor here. He’s a safe-ish big leaguer. But it’s not very easy to picture him as an every day guy either. He’s a different type of guy than Chris Heisey was – but that’s also the kind of role that he seems to look like he is going to fill, too. That bunting stat is amazing. If Hamilton could bunt that well he not only would have been tendered, but probably offered a multiyear deal. It’ll be interesting to see if Friedl can build on a great 2018 season. Fast runner who can bunt and play center; sounds like a lead off hitter to me. Met him at Redsfest with my son and he was very nice. I have liked Friedl since the Reds signed him. He seems to be a guy that wants to play and has worked hard to tone a good approach at the plate and will make the most of the talent that he has. High ceiling guys are great but unless they have a desire to compete, many often do not hit their ceiling. Frieda’s ceiling may not be high but he would certainly be a pretty good bridge to Trammel or Siri. I like Friedl alot love how he plays all out. I can see him Improving over more higher ceiling guys. Also could see his Power playing up in GABP just like Winkers power has. If he can get just a little stronger he could win himself a spot with his speed, defense, and plate discipline. Is there even a whisper of a hint of a rumor that they’ll hold open tryouts for CF during the first half of this year? Then either trade for talent at the break, or decide what works? Another experiment I’d love to see – especially if Lorenzen is involved – give 15-20 games to each of Schebler/Senzel/Friedl/Lorenzen/Siri. You get even arrange the service time/call-ups with those numbers. There’s certainly better offense with some of them than BHam, and we’d see pretty quickly how bad the defensive drop-off is.